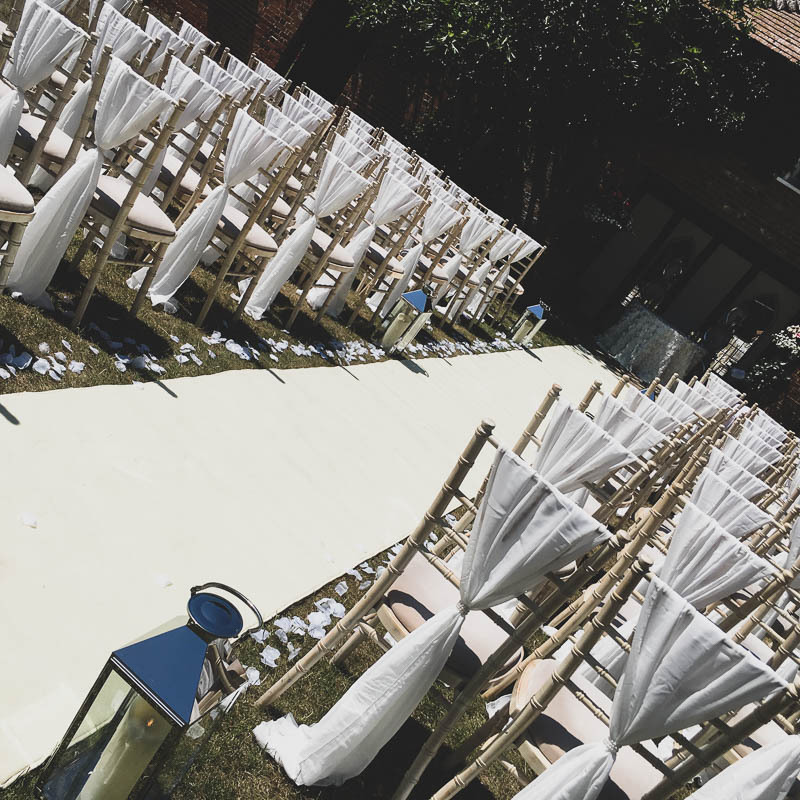 It’s the most important moment of the day and every detail deserves to be extra special. 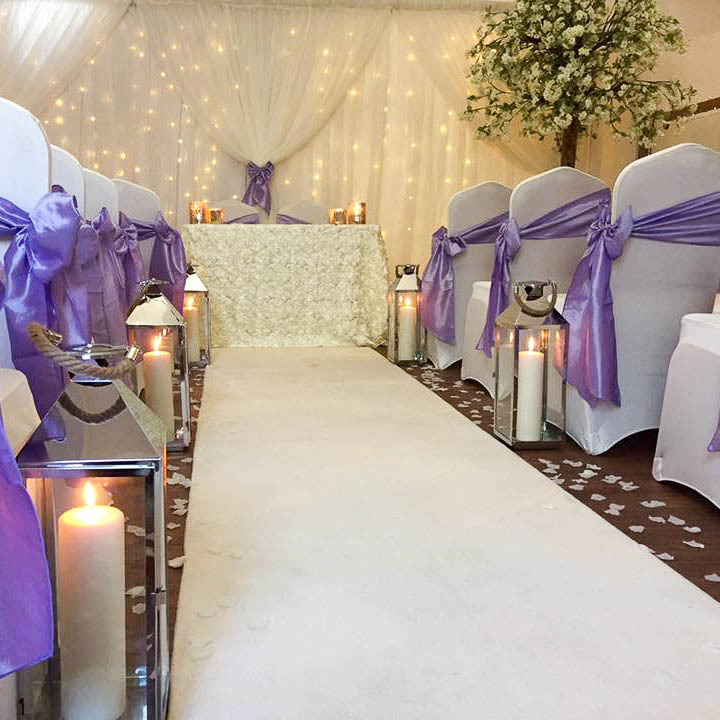 Our Wedding Ceremony Decoration will provide the perfect setting for the moment you say ‘I do’. 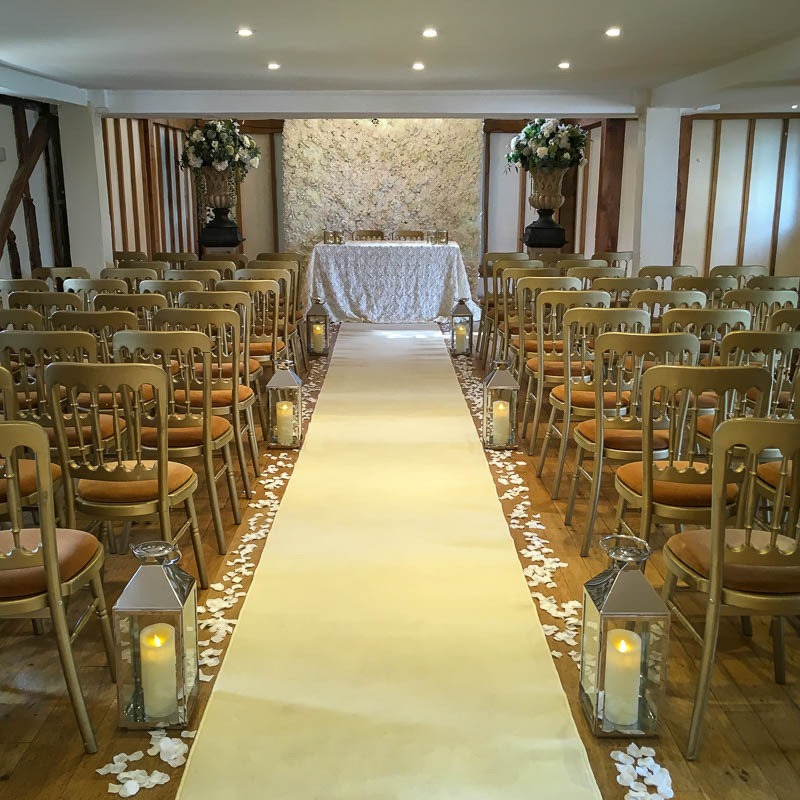 Covering locations in and around Essex, we provide a luxurious ivory aisle runner for civil ceremonies. 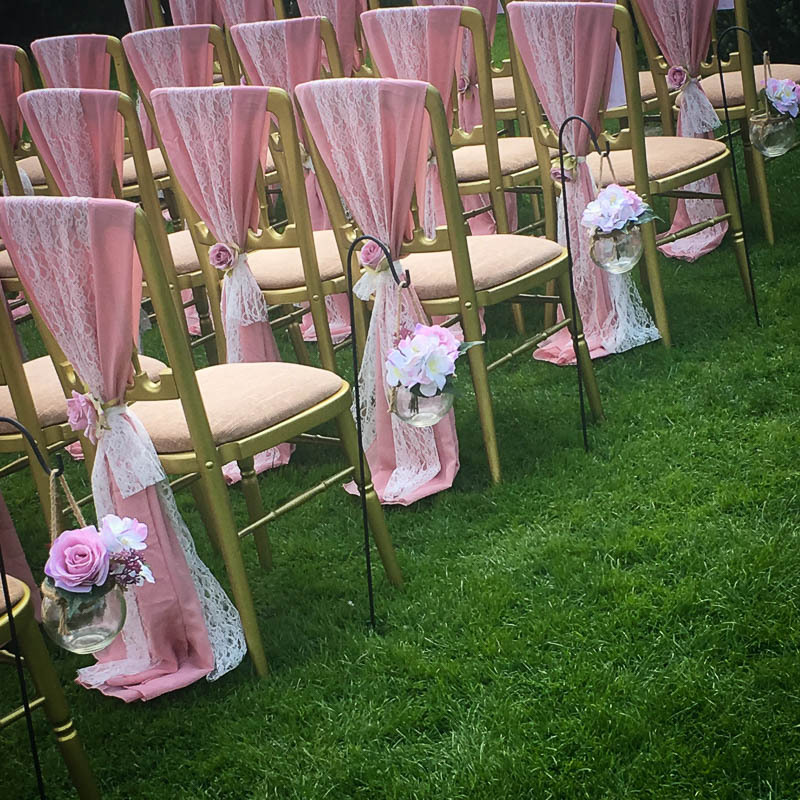 We can style with hurricane lanterns and sprinkle petals in your choice of colour to complement your theme. 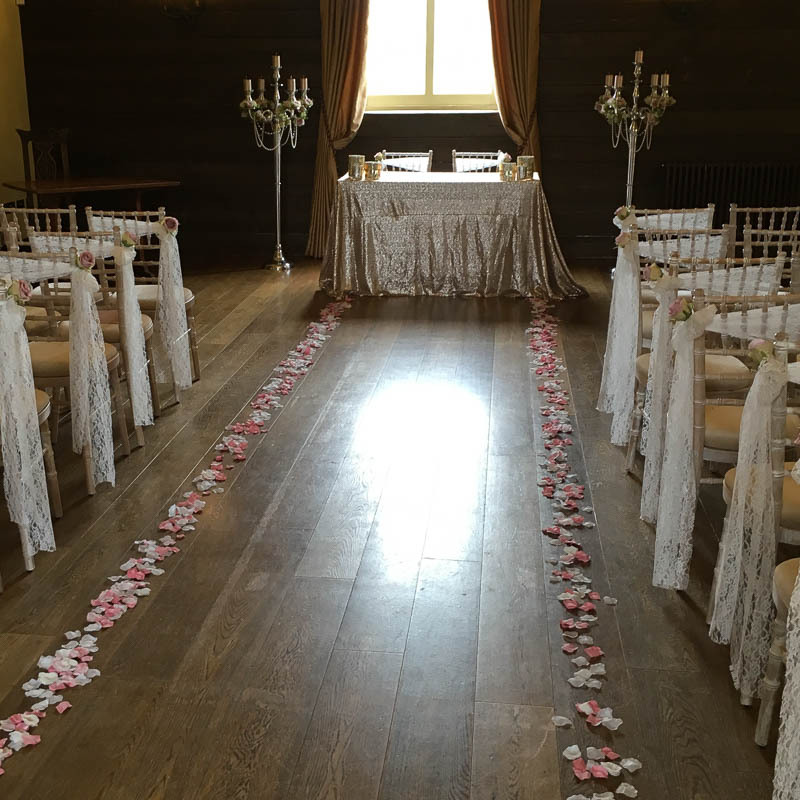 Complete the look with your ceremony table covered with a beautiful rosette or sequin tablecloth, with scattered candles and frame with a starlight backdrop. 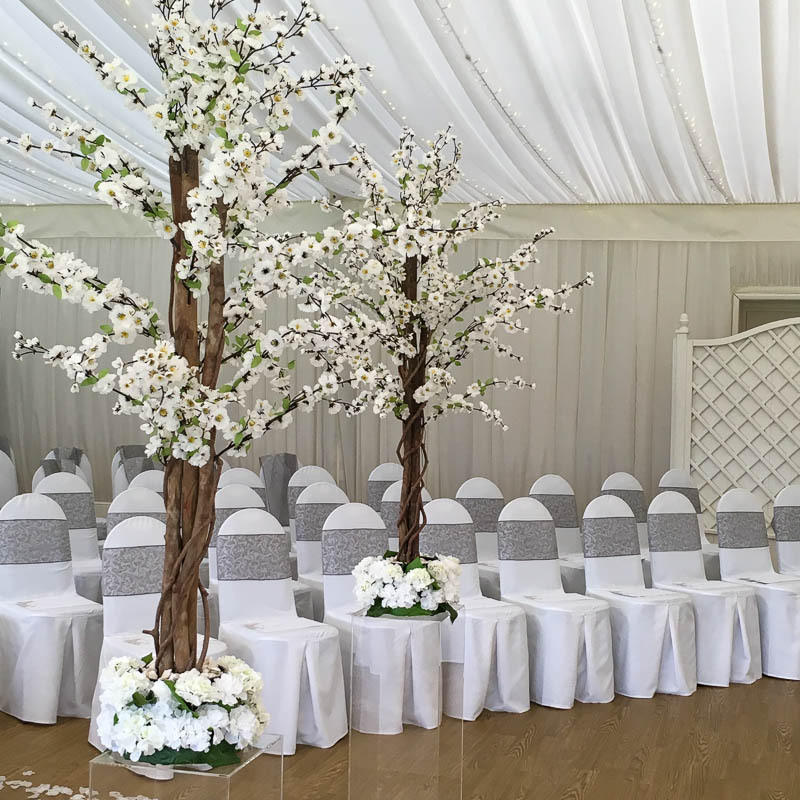 For outdoor weddings we can offer Sheppard’s hooks with hanging vases and garden flowers for a rustic or country garden look. 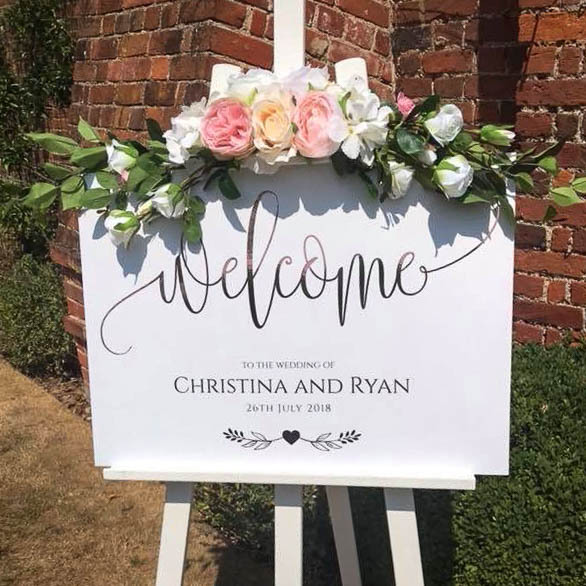 Greet your guests with a lovely personalised ‘Welcome to our Wedding’ sign framed with beautiful silk flowers, made to suit your colour scheme. 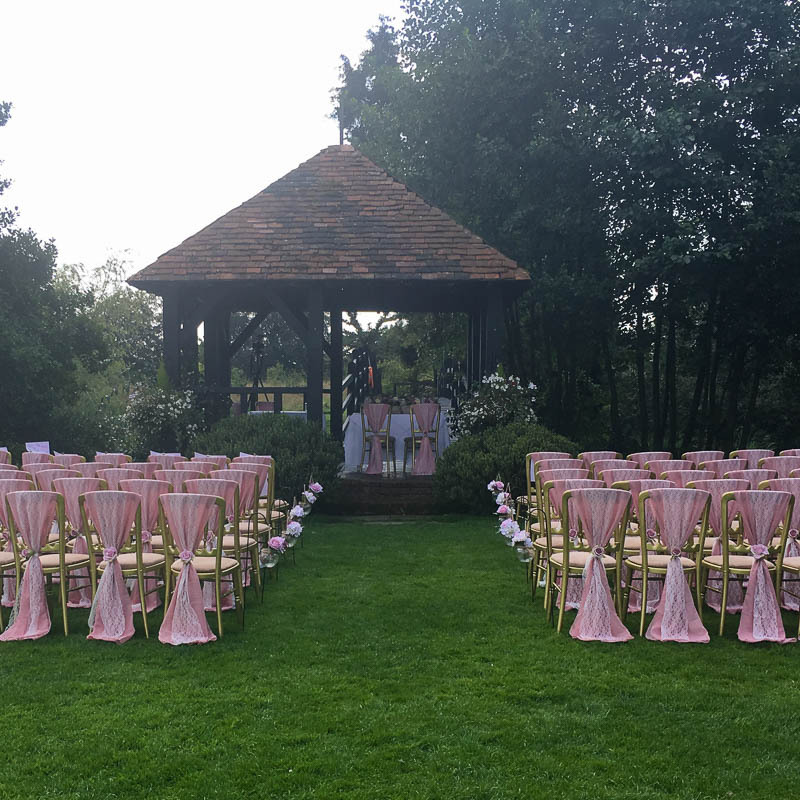 These are just a few of the things we can offer for your ceremony. Get in touch to discuss ideas.